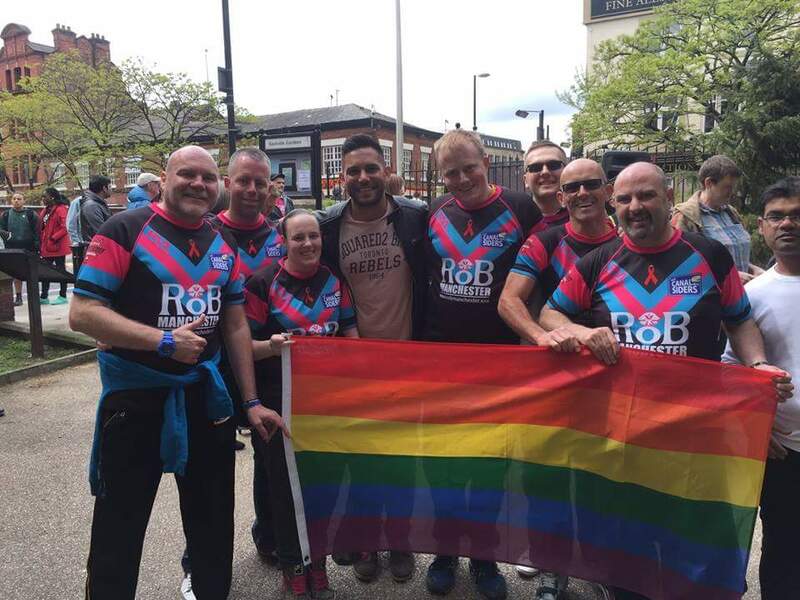 The Foundation are proud to announce their continued support of The Manchester Canalsiders LGBT Rugby League Club - the first of its kind in the United Kingdom. SRDF have been involved with the Canalsiders since their beginning in 2013, regularly working together during events, promotions and on match-days. This includes continued involvement with our Touch Rugby League fixtures, promotional days on Canal Street aiming to spread the word of the Canalsiders and regular coaching days throughout the past two years. Keen to display our support to diversity within Rugby League, The Foundation announces their continued sponsorship of The Canalsiders. We are already looking forward to exciting new events and to raising the profile of rugby within the LGBT community. The Canalsiders Chairman, Martin Owens, says: "We are very happy to receive continued support and sponsorship from The SRD Foundation. Their efforts with our team have been invaluable and we have worked well together in raising awareness. "Our motto has always been "One for All" and we are committed to being inclusive of all members of the LGBT community. We invite members to join both to get fit and healthy, or simply to meet new, like-minded people of the community. The Foundation Director, Mark Brocklehurst, recognises the importance of raising LGBT awareness within rugby league: "We are extremely proud to show our continued commitment and support to The Canalsiders and all that they do for raising awareness and creating a diverse rugby league community. "The whole team looks forward to new opportunities to help and contribute to The Canalsiders' ultimate goal of a more diverse sporting landscape."